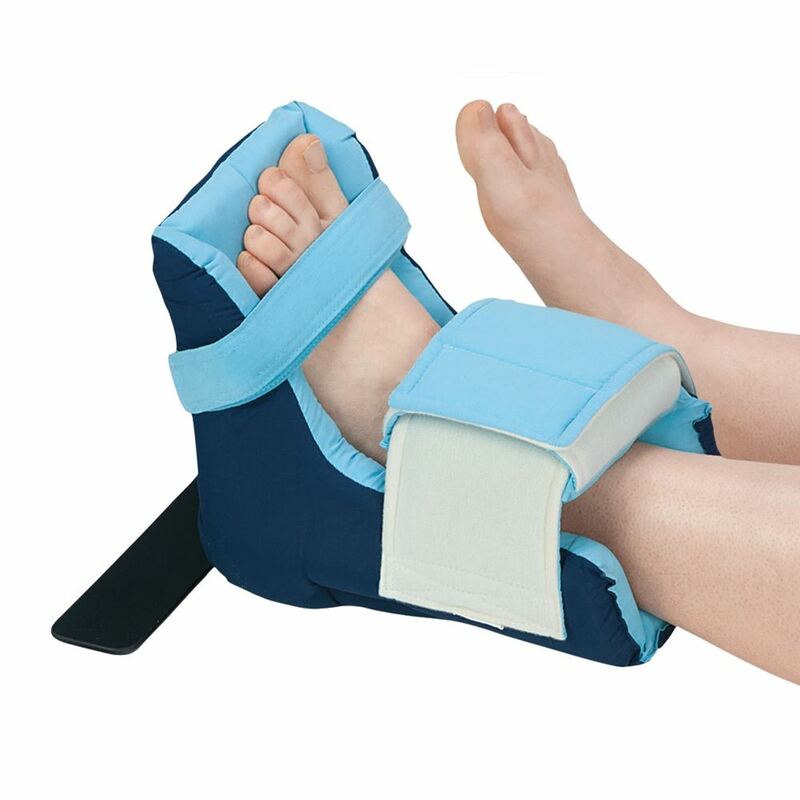 AliMed® Heel-Up Foot Positioner cradles foot and ankle while suspending heel for complete pressure relief. 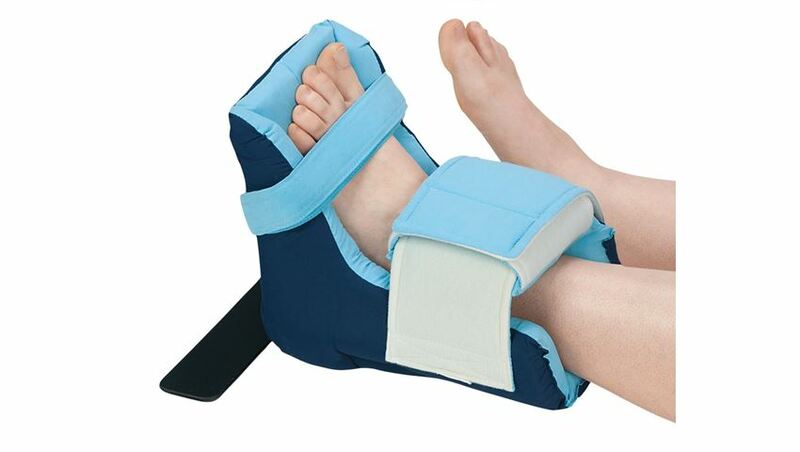 Foam cushioning throughout protects calf, shin, malleoli, and forefoot areas. Distal end of calf pad is tapered to protect fragile Achilles area. Heel window allows air circulation and easy inspection. 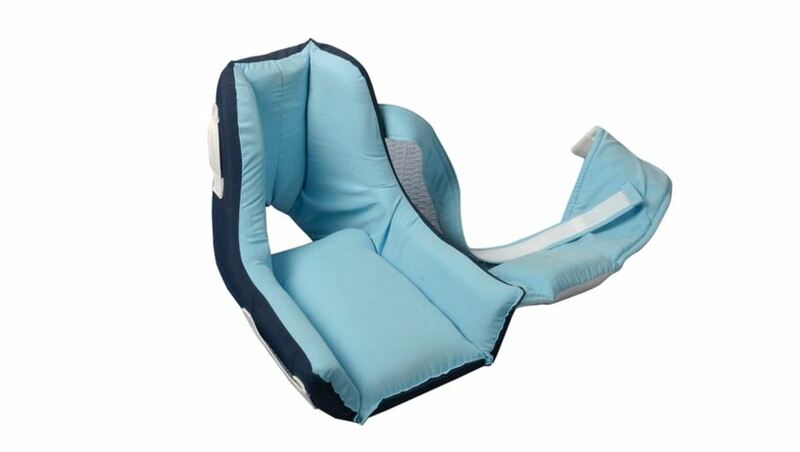 Skin-friendly, microsuede interior contains Saniguard® AG antimicrobial and wicks moisture for cooling comfort and added skin protection. 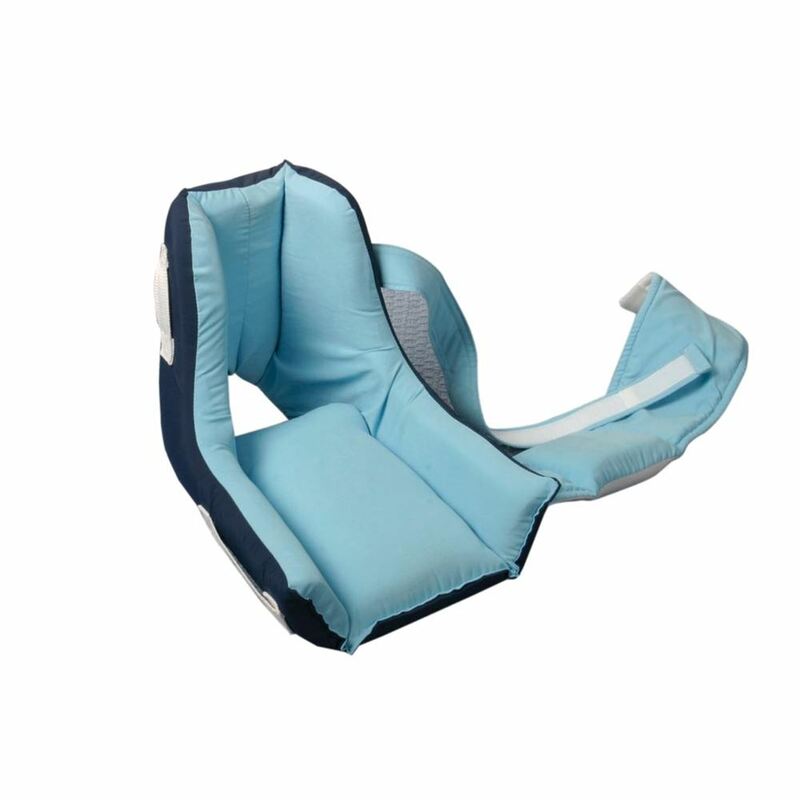 Low-friction nylon exterior facilitates bed mobility and slides easily on bed linens to help maintain Heel-Up in proper position. Water-resistant fabric is durable and machine-washable. Fits left or right. Optional Anti-Rotation Bar (sold separately) slides into pocket on bottom of positioner to maintain foot in neutral rotation – ideal for post-op total hip replacement patients. Not for use or sale in the EU.